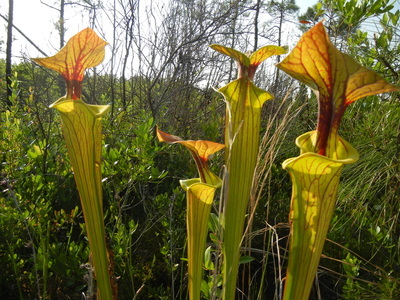 One of the largest of NCPCPs preserves, it weaves in and around the town of Boiling Spring Lakes and is home to a variety of coastal plant species, including Venus flytraps. 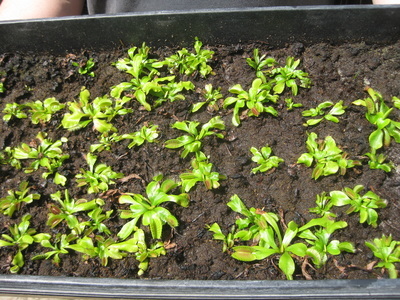 Often poached, whole plants and seeds, Venus flytraps are under intense pressure. Over the years, their range has become alarmingly smaller. Venus flytraps are currently listed as Special Concern-Vulnerable, but calls are being made to change their status, giving them a little more protection. In addition, laws have been put in place to increase fines and permit jail time for poaching (the taking, without permission, of plants from another persons land). Poachers were recently caught with 800+ plants stuffed into a pillowcase. 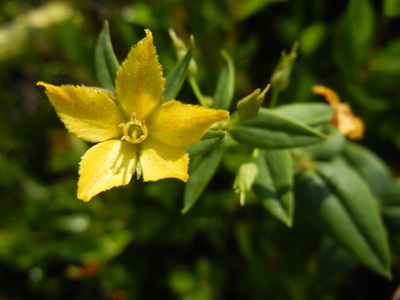 Officers retrieved the plants and sent them for safekeeping in a greenhouse until arrangements could be made to re-plant them. 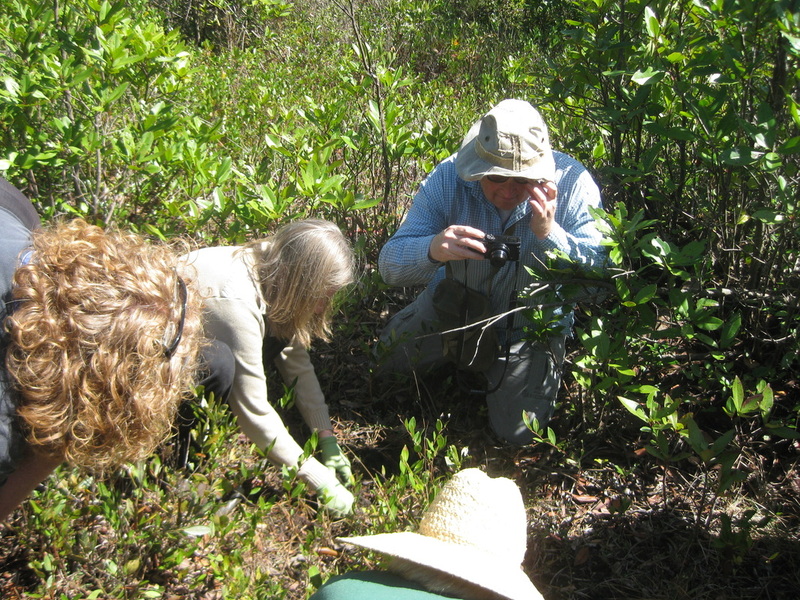 In March of 2015, a carload of Friends of Plant Conservation traveled from Greensboro to the coast to assist with the re-planting. Venus Flytraps, Lysimachia asperifolia, and Sarracenia flava. Bachman's sparrow photo courtesy of Daniel Berganza. Plants are not the only species in trouble. 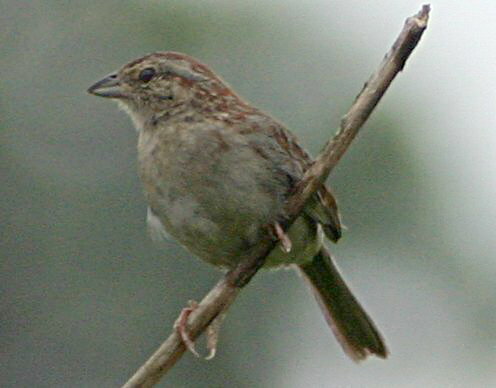 Sightings of Bachman's sparrow, a bird that is now uncommon and possibly declining in the South, have been made at Boiling Spring Lakes. The little bird may look rather plain, but his song makes up for what he may lack in appearance. The USFWS has excellent information about the bird and its needs (click on the green button to the left).